Royal Caribbean announced today an easier online check-in process that aims to cut down the check-in process by 25%. Guests will be asked to enter fewer data fields and can apply information, like credit card data, to multiple parties on their reservation. These improvements help guests move through the check-in process faster and easier. 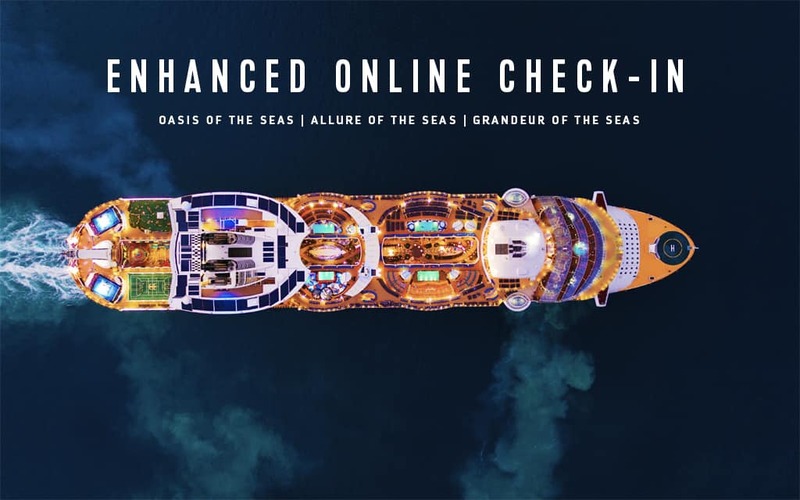 The new online check-in process is already available for sailings onboard Oasis of the Seas, Allure of the Seas and Grandeur of the Seas. Royal Caribbean plans to expand this functionality to other ships "in the near future". Guests can check-in from 90 days to 72 hours prior to the sail date. If a guest misses the check-in window, the guest has the option to check-in at the Port.